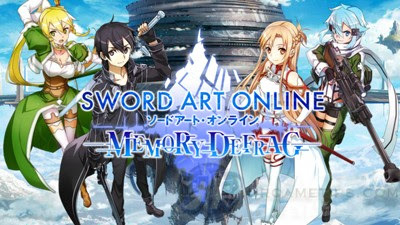 Sword Art Online: Memory Defrag is a side scrolling Action RPG mobile game based from the popular Japanese anime series Sword Art Online. 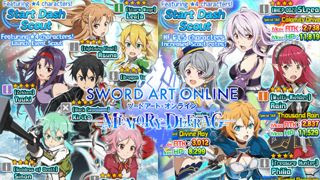 Presented by BANDAI NAMCO Entertainment Inc., now available to download on the App Store and Google Play. The greatest moments from the series come to life in the palm of your hand! 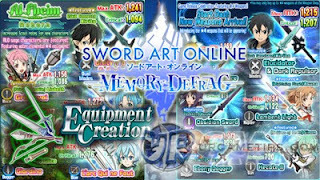 Simple controls allow you to experience the SAO universe in a whole new way! Relive the series' most breathtaking scenes as your following the fabulous tale of Kirito and the gang! - Why Daggers, Rapier, Dual and Sword Wielders are More Popular? - How Weapons and MP Pool Affect MP Gain. - When Does MP Gain Starts to Matter? - Characters and Weapons To Aim For. - List of Healers, Buffers, and Debuffers. - List of Characters that can help absorb or reduce damages. - Excellent alternative units for Floor Clearing Events. - Recommended Core, Sub and Support Characters for F2P players. - Requirements for Unlocking Skill Slots. - How to Obtain Common and Rare Medallions. - 5 Stars Combination Skills, Partners, and Leader Skills. 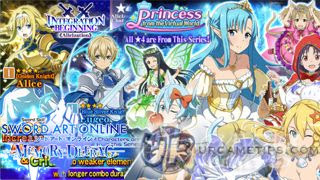 - Other FAQs About Upgrading 5 Star Characters. - List of Melee Weapons and Stats. - List of Ranged Weapons and Stats. - List of Armors and Accessories with Stats. - Lvl 10 to Lvl 80 Decryption Keys - Farming Locations and Tips. - What Are Special "Event Only" Keys? - Collection of videos to help you defeat or complete Ranking Events. - Watch, learn and memorize boss attack patterns! 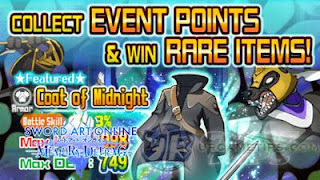 - Event Mechanics, General Tips, Notable Units, and Rewards. New SS3 Add-on Skills: Basic Info and How It Works NEW! - New SS3 Skills Basic Info and Observations. Tracking Cicular Skill (Ring) - FAQs and Tips NEW! - How it Works, Observations and Tips, Team Builds and Example Attack Patterns. How to Unlock GGO or Other Story Modes? - Other stuff you can do if not yet available. 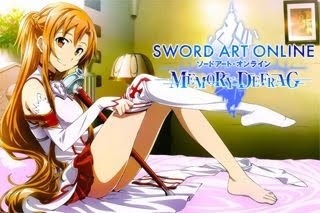 How to Play SAO: MD on PC? - Use Android Emulator and set up Controls.